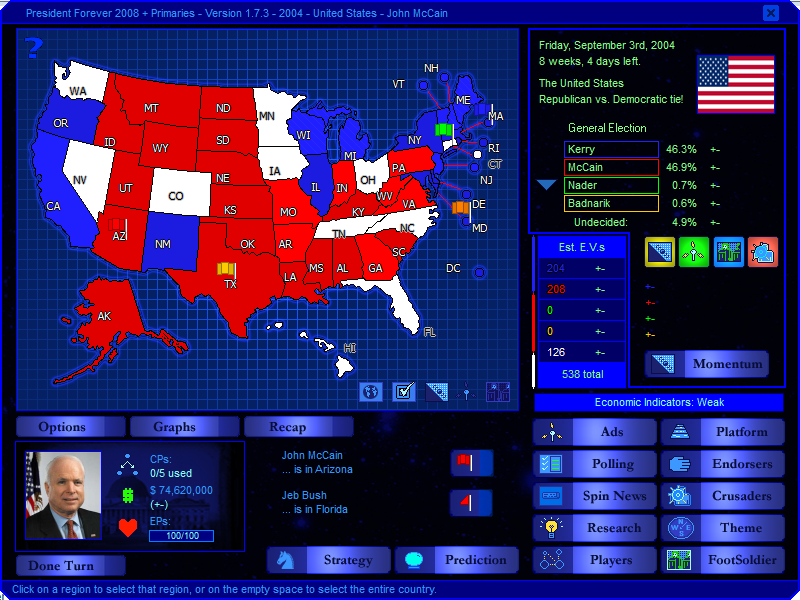 Here’s my new what-if Scenario – Cheney 2008. 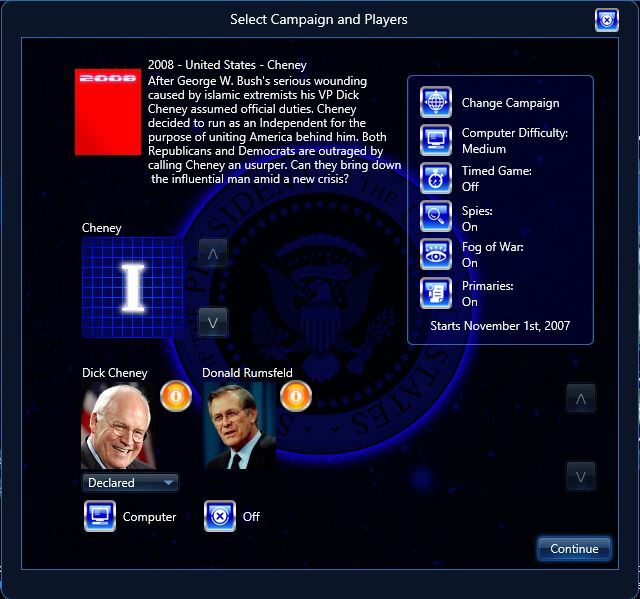 Cheney succeeded Bush in 2007, after Bush got serious injured in a terrorist attack. 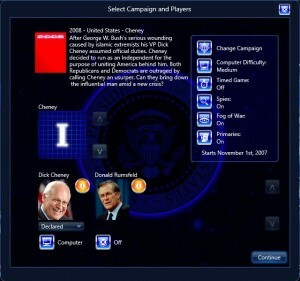 Cheney decided to run for reelection as an Independent to unite America behind him on the upcoming challenges in the middle-east. He now faces both Republican and Democratic challengers. Can he win a full term or can the Republicans or Democrats restore the old order? Who will be successful? Any Feedback, game reports or additional info is welcome. Thanks in advance. If you have any ideas, tell me and I’ll try to include them. P.S. Please forgive any grammatical errors as English is just my 2nd language. If you find something incorrect please say it to me and I’ll correct it asap. Have fun, any feedback is welcome.